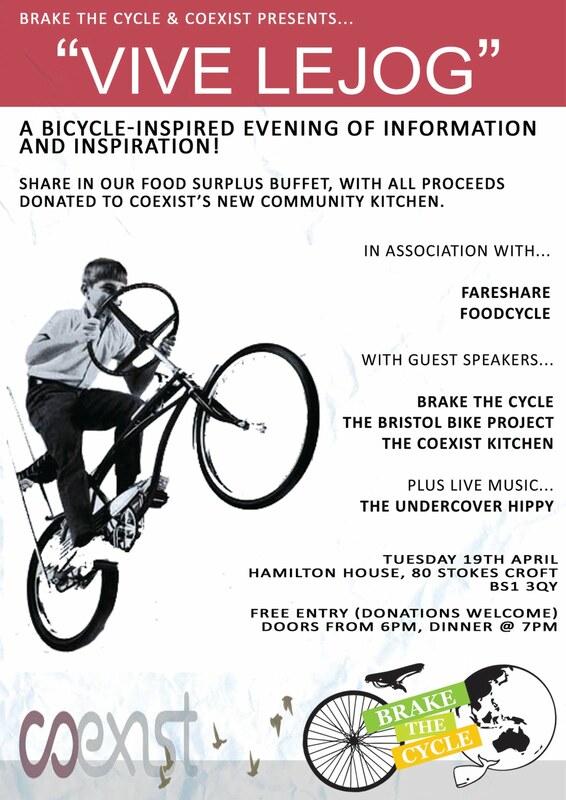 “Vive Le Jog” is a bicycle-inspired evening, hosted by Coexist and Brake The Cycle, in association with Fareshare and Foodcycle. Enjoy music from The Undercover Hippy while tucking into a fantastic food surplus buffet, demonstrating how surplus food can be used to create cheap and nutritious dishes. The doors open at 6pm, with dinner served at 7pm. Entry is free of charge, but be generous with your donations: any proceeds from the evening will be donated to Coexist’s Community Kitchen project.